Reflective Authenticity: Rethinking the Project of Modernity is a challenging consideration of what remains of ambitious Enlightenment ideas such as democracy, freedom and universality in the wake of relativist, postmodern thought. Do clashes over gender, race and culture mean that universal notions such as justice or rights no longer apply outside our own communities? Do our actions lose their authenticity if we act on principles that transcend the confines of our particular communities ? Alessandro Ferrara proposes a path out of this impasse via the notion of reflective authenticity. 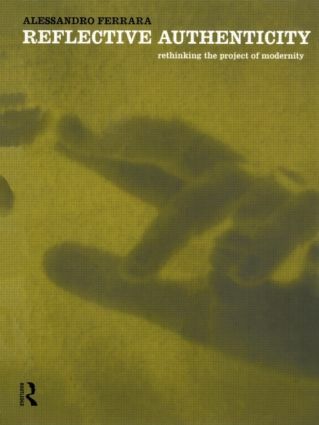 Drawing on Aristotle, Kants concept of reflective judgement and Heideggers theory of reflexive self-grounding, Reflective Authenticity: Rethinking the Project of Modernity takes a fresh look at the state of Critical Theory today and the sustainability of postmodern politics.